If you are currently trying to save money and do not want to shop, you are likely forced to “shop your closet.” This can be a challenge when you have been looking at the same items of clothing for days, weeks, and months. At times, you may be going with your normal look of pairing a top with a basic bottom, such as black, brown, grey, navy, or denim. Although these looks can be classic and sophisticated, we may become bored with them, especially after we have done it so many times. When I]I’m forced to shop my closet, I try to think of unique ways to remix my clothing to create an outfit I’ve never worn before. Granted, in order do to this, you do need to have clothes to choose from and clothes in other colors besides the neutral tones. However, if you have any colors, you can achieve these looks, even through pairing colored accessories, such as shoes, handbag, or jewelry to create a unique look. I often find that I get the most compliments on my outfits when I rework old items into these new outfits, because the color scheme can be so eye catching and different than what you may see on a daily basis. I do not always do this, but it is definitely a fun way to be creative and make new outfits! Don’t forget to shop some of my clothes, including the outfit above, at the bottom! One thing I like to use is the color wheel. Now, I’m not an expert in the color wheel. I’m not going to go into any in-depth explanations of this, as I’m no expert, do not want to act like one, nor do I want to plagiarize. If you want to really delve into the color wheel, I urge you to check out this article to find out more ways to mix colors! There are also a TON of books just on this topic, so if you want to learn more—just google! It’s basically a science and an art, but I’m just here to give you a cheat sheet on how to quickly use the colors. The best part is that you can even use this to decorate your home! 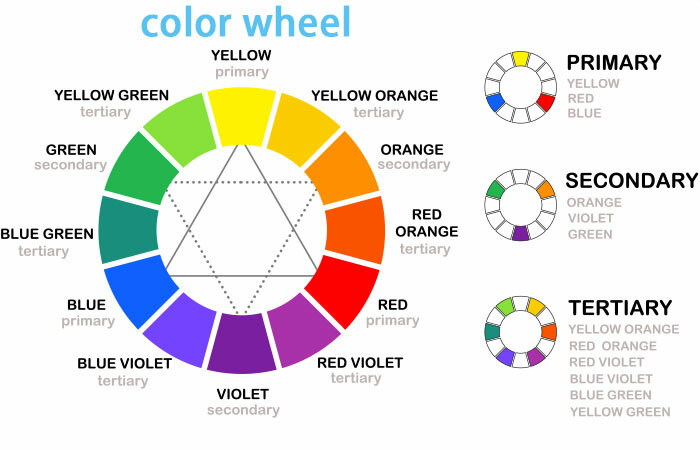 As you can see above, the color wheel is made up of primary, secondary, and tertiary colors. Red, Blue, and Yellow are primary colors, and all other colors come from mixing them. As a result, you get the secondary colors and the tertiary colors. That’s a super quick explanation, so feel free to research more on this topic! Below is a more comprehensive color wheel! Monochromatic: You can use different shades of the same color to create a look. Like using the Martian color wheel above, you can create a look by using the different shades of Turquoise, for example. This is actually something that I probably don’t do enough of in my daily fashion, but if you have been following me on Insta, you probably noticed that I recently did a monochromatic look in my dining room (although I will add a pop of color!). Analogous: Analogous colors are a set of three colors that are next to each other on the color wheel and can create a nice scheme. If you scroll down to my nature photos below, you can see an example of how the green cucumbers and yellow squash look by each other. This is a great example of an analogous color scheme. 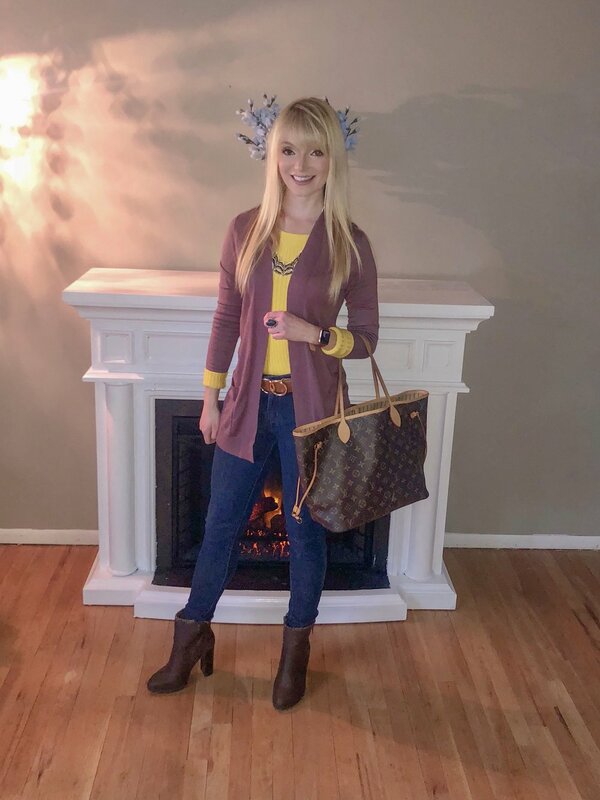 Complimentary: Complimentary colors are when you use two colors across from each other on the color wheel to create an outfit, as I did in my main photo above! Purple and yellow is a great complimentary color combo. See below for more complimentary color combos! Triadic Colors: Triadic color combos are when you create a color scheme with three colors evenly spaced along the color wheel. Obviously, the larger the color wheel, the more color combinations you have! See below for some color palettes, as well as a few ways I used the triadic color combos! I used two colors out of a triadic color combo with a teal/cyan color and plum! So those are some basics of using the color wheel! There is so much more to it, but for basic dressing and decorating, this is a great place to start. If you are still stuck, another great way to go about this is to google color schemes. Often, interior design and paint companies come up with color schemes and palettes, which is another great way to combine colors for fashion and home! Use Nature as Inspiration: Looking outside to the natural world for natural elements and color combinations is another great place to start! 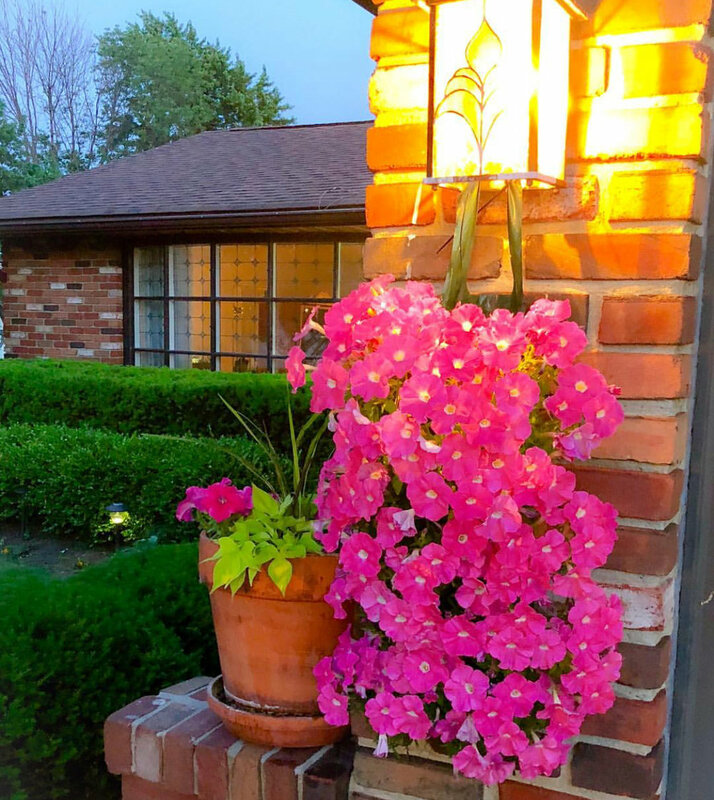 If you know me, I love to bring natural elements inside my home decor, and this is another great option to look for inspiration when mixing colors for fashion or for home decor! 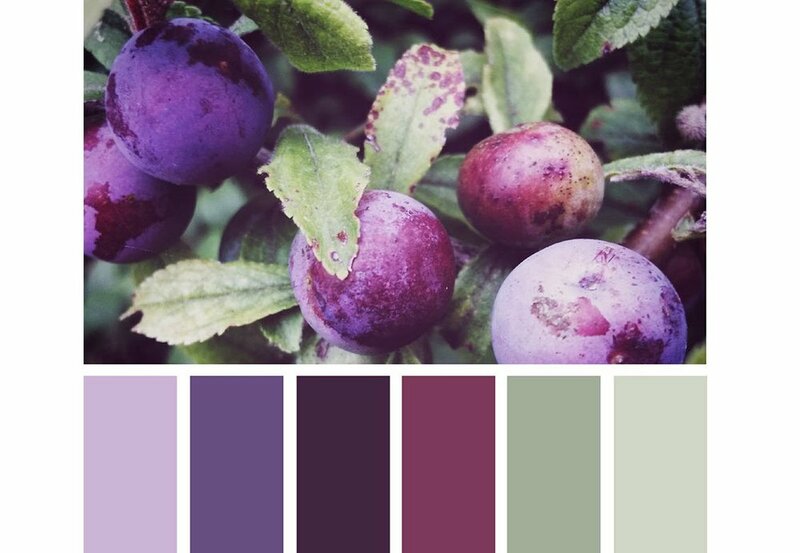 See below for some great color palettes inspired by nature and inspiration from my own yard! So there’s a crash course on how I use color in fashion and in my home. What did you think? How do you use color in your daily life?